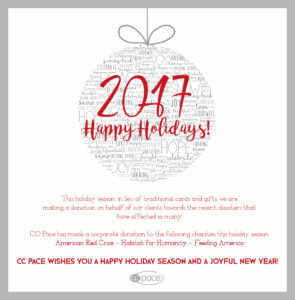 Happy Holidays from CC Pace! In America there are an estimated 50 million pumpkin pies served on Thanksgiving Day each year! 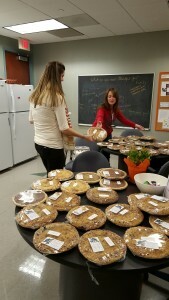 After all, pie is the traditional dessert for Thanksgiving dinner, and that is something each employee at CC Pace knows very well. Since the 1980s, CC Pace President, Mike Gordon has given each employee a pie for Thanksgiving to enjoy – and, not just any pie, but a pie from Mom’s Apple Pie Company. Mom’s Apple Pie Company, based in Leesburg and Occoquan, Virginia is owned by Avis Renshaw and has been featured in Southern Living Magazine, Fox News, Chowhound.com and many other news outlets bringing the spotlight to their famous pies. Mike Gordon came upon Mom’s Apple Pie Company, many years ago when both businesses were located in the same complex. 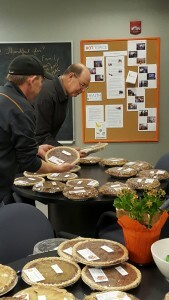 Since then, Mike has made it a tradition to provide a pie for each employee during the holiday season. So it appears, the taste buds at CC Pace are quite a bit sweeter than what a pumpkin pie delivers. Although, maybe the question we should be asking is, why aren’t CC Pace employees ordering this Thanksgiving staple? 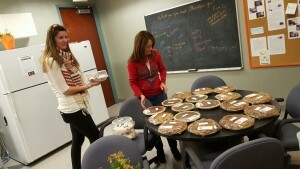 How many employees are choosing to bake their own pumpkin pies? Those are some questions we will need to explore for next year’s Thanksgiving blog!